The village of Silchester, which is best known for the nationally important remains of the large walled Roman Town of Calleva Atrebatum, is situated in the Local District Authority of Basingstoke and Deane, and lies roughly at the centre of a triangle comprising the towns of Reading, Newbury and Basingstoke. 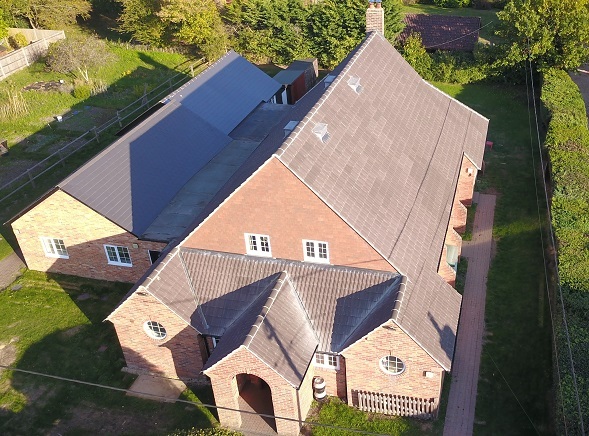 Although Silchester is essentially rural, it has excellent road links and is conveniently situated for access from a wide area within North Hampshire and West Berkshire. The Village Hall which is situated close to the centre of the village opposite the cricket/football pitches and across the road from the Calleva Arms public house, has provided the focus for many activities and functions for the past 85 years. A recent usage survey determined that the Hall is used by some 25,000 visitors a year, illustrating its importance in developing the village identity, attracting people from surrounding areas as well as people from Silchester itself. While the Village Hall charges for use of the facilities, as a registered charity it makes a minimal profit. Any profit is ploughed back into essential maintenance. The Hall is administered in accordance with governance arrangements established in the original bequest by Charles Firth in 1927 and updated from time to time since in accordance with the demands of Charity Law and current best practice. The next few years will be an exciting time in the history of the hall – read more about our development projects and fundraising activities.